For centuries, ancient Taxila in Punjab, modern Pakistan, was revered as a center of learning and a holy city in the Buddhist and Hindu traditions. It hosted one of the earliest institutions which could be called a university, though there are disagreements over whether it counted as a true university. It is also considered to be the birthplace of Mahayana Buddhism, currently the largest branch of Buddhism in the world. The city passed through many imperial hands from its origin around 3500 BC as a collection of Neolithic agricultural communities, to its final abandonment by the 7th century AD. Nonetheless it remained and has remained a spiritual center for both Hindus and Buddhists and continues to receive pilgrims even to this day. According to legend, the city, known in antiquity as Takhshashila, among other names, was initiated by the nephew of the Hindu god-king Rama. By 600 BC the city was occupied by the Achaemenid Persian Empire. It briefly came under the control of the Macedonians under Alexander the Great who conquered the city in 327 BC. Macedonian control of the city was short-lived however as it was soon conquered by the newly founded Maurya Empire in 324 BC. During Mauryan times, Taxila thrived as a center of Buddhist learning, receiving patronage from Buddhist emperors such as Ashoka. The city of Taxila contained numerous monasteries and associated stupas, the ruins of which remain here today to puzzle and interest archaeologists. The city in fact had some of the most impressive architecture in the Buddhist world. During this time, the city was visited by pilgrims from all over India, central Asia, China, and southeast Asia. It was said that the epic Indian poem, Mahabharata, was first recited here. Even after the fall of the Maurya Empire, the city remained a major urban and religious center in the region until it began to decline in 5th century AD and was eventually abandoned by the 7th century. Today the ancient ruins of Taxila are located 3 kilometers (2 miles) southwest of Taxila City. The site has remains spread across many miles and thousands of years but is most known for its Buddhist religious monuments, include many stupa and two monasteries. It has continued to be visited as a holy site, even after it was in ruins. 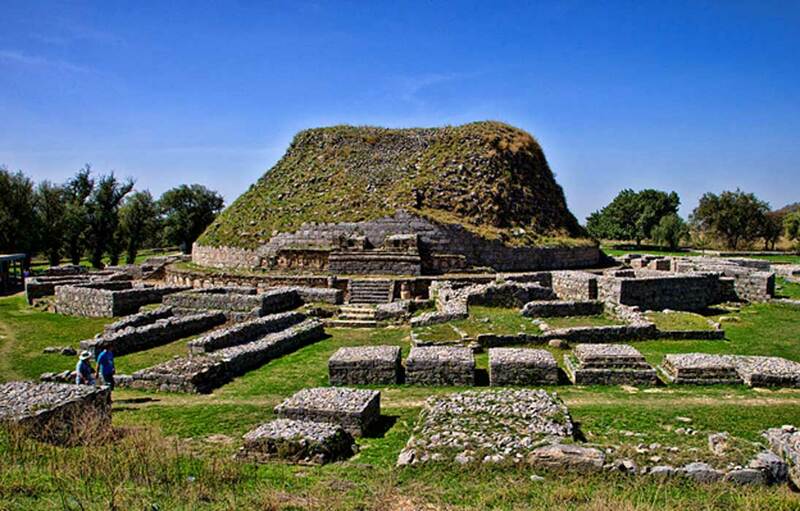 There is debate over whether the center of learning that emerged in Taxila was a university in the modern sense. There were teachers and associated students but the teachers do not appear to have been directly affiliated with any college. The school mainly consisted of a group of monasteries where students came to be taught by well-known scholars and monks. The curriculum was a mixture of religious and secular education. Subjects taught at the monasteries included the Vedas, astronomy, mathematics, literature, medicine, law, military science, and the traditional eighteen arts which included hunting, archery, and elephant lore among other disciplines. The school is also where many famous intellectuals studied and taught, including Chanakya who was one of the strategic masterminds behind the building of the Maurya Empire. He is also known for having written a seminal treatise on economics. The reason for the eventual decline of the city appears to be due to a mixture of the White Hun invasion and the decline of Buddhism in the region. For centuries, the region had maintained its cultural identity and hegemony in the face of foreign invasion after foreign invasion due a unifying religion, Buddhism. For a thousand years, the monasteries had guided the region culturally and spiritually and had kept it together as a coherent urban center. 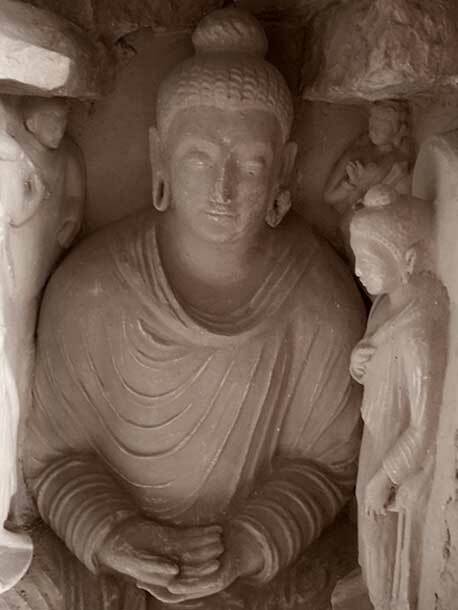 By the 5th century AD however, the monks of Taxila had become decedent and the original spiritual message of Buddhism had become lost in the opulence of the monasteries and stupas from centuries of patronage by wealthy Buddhist rulers. Buddhism was no longer compelling to the people of Taxila and sects of Hinduism were experiencing a revival in the region. This was exacerbated by the fact that the White Huns were primarily Hindu, so once they took control, patronage of the Buddhist monasteries and associated schools ceased and thus they were not able to sustain themselves. With the collapse of the Buddhist religious centers, the urban center surrounding them also eventually evaporated, leaving only ruins to speak of the former glory of the city. Taxila is an interesting example of how religion can inspire art and learning. Some of the greatest centers of learning and works of art have been inspired by religious thought. Academic institutions can also be very connected to the spread of a religion or quasi-religion. The earliest universities in Medieval Europe, for example, were established as centers of Christian learning. In the same way, the oldest active university in the Islamic world, and perhaps the world, the University of Al Quaraouiyine in Morocco, is considered a major center of modern Islamic theology and thought. Furthermore, many of the oldest universities established in the United States were originally founded with the express purpose of establishing a Christian civilization in the Americas and spreading the Gospel of Jesus Christ. Even today’s Western secular universities could be said to be operating on a quasi-religious belief system. They are secular, but the message that they have can take the place of a religion for some in the modern secular West. This “religion” would essentially be Enlightenment Humanism which emphasizes the importance of science and reason in addressing the major questions and problems that humans have. This is not to say that other religions or value systems don’t consider science and reason to be important, most of them do, just that human reason and use of science are the main focus of Enlightenment Humanism as opposed to connecting to God or attaining nirvana, for example. It is little surprise that this same pattern would be seen in the Buddhist world with centers of academic learning such as Taxila being central to shaping the Buddhist world and Buddhist cultures. During its heyday, the thriving learning community at Taxila would have discussed ideas and developed religious and other knowledge in the same way that academic institutions are central to shaping Christian, Islamic, and secular civilization today.